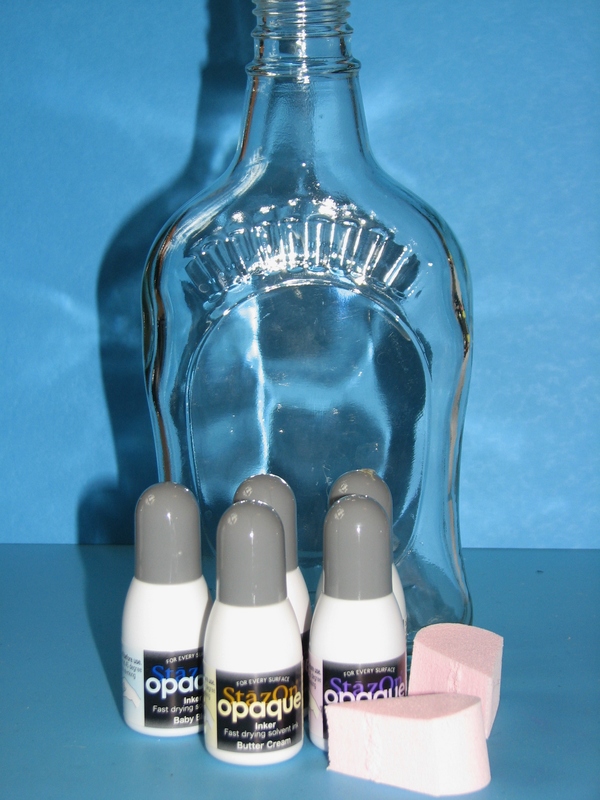 1 Wash and dry bottle thoroughly to remove label and any glue residue. 2. 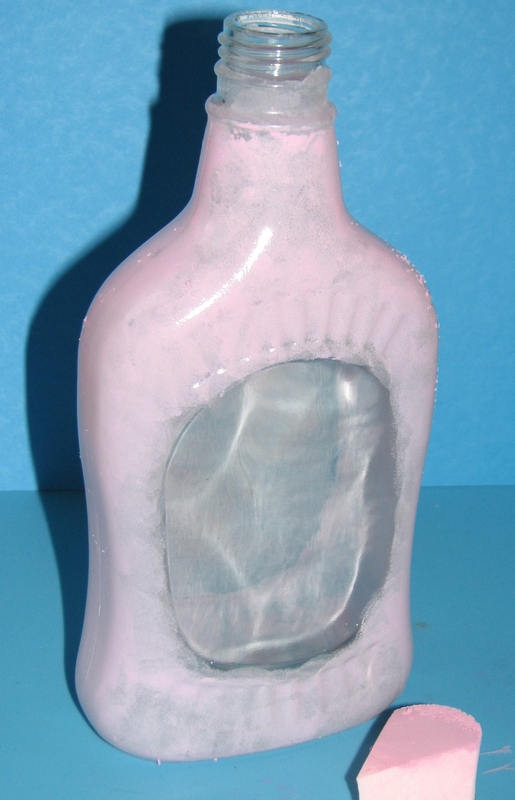 Squirt a small amount of Blush Pink Opaque ink onto the bottle; use an Ink Blusher to dab the ink over the bottle where desired. 3. 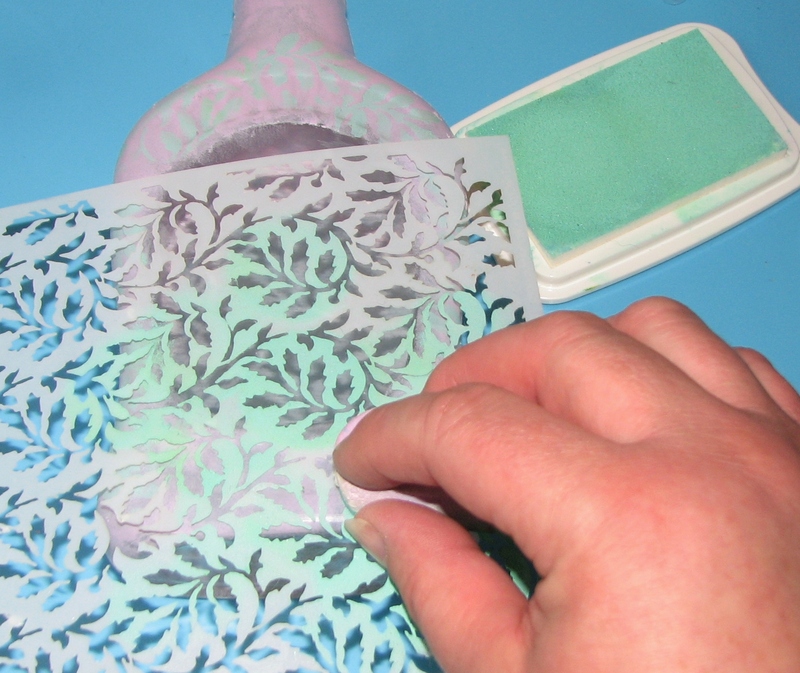 If a deeper color is desired, apply a second coat of ink. Let the ink dry. 4. 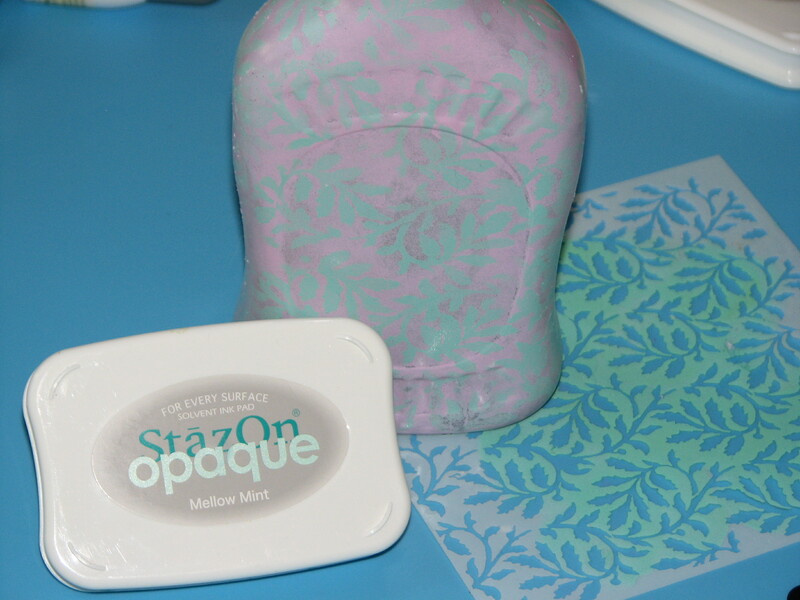 Place stencil over the bottle and dab Mellow Mint onto the bottle using an Ink Blusher. 5. 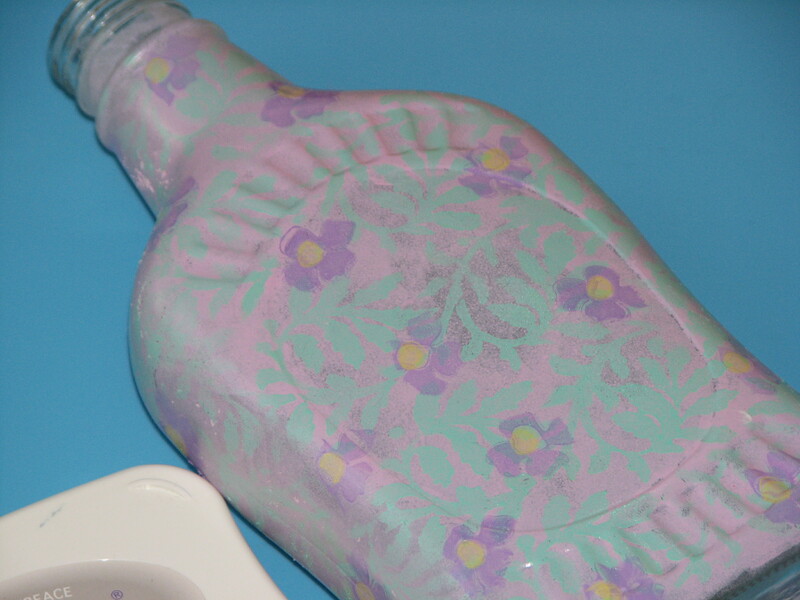 Randomly stamp flowers over the bottle with Soft Lilac Opaque ink; stamp flower centers with Butter Cream Opaque ink. 6. 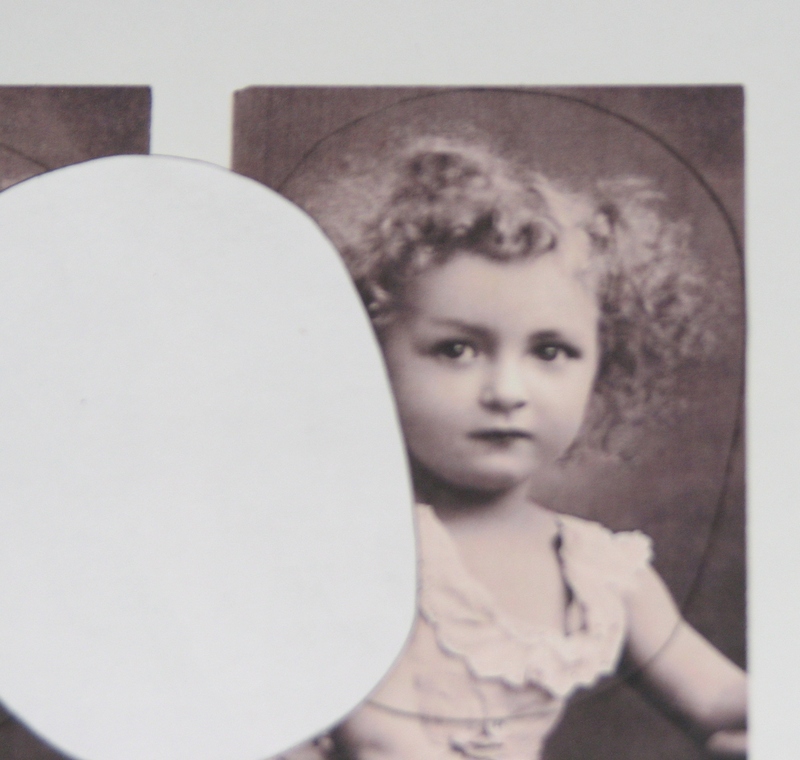 Print and trim desired main image. 7. 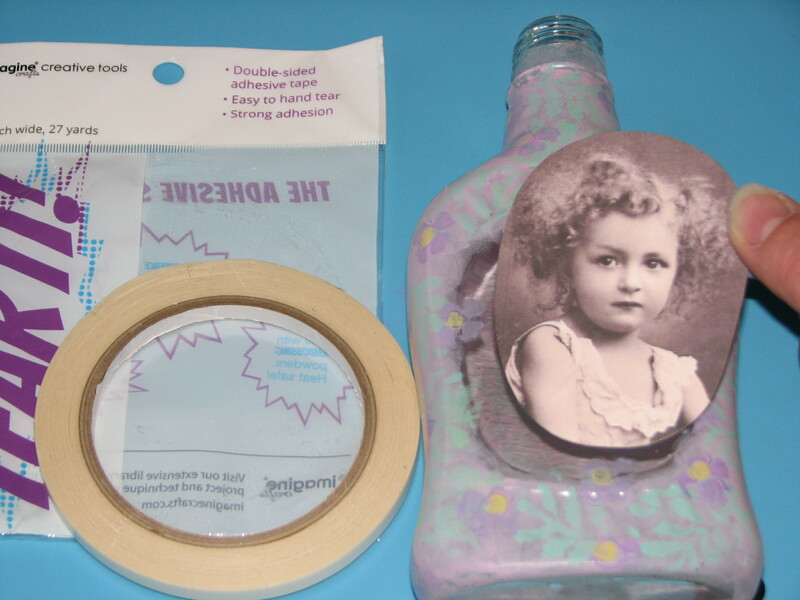 Adhere image to the bottle using Tear It! Tape. 8. 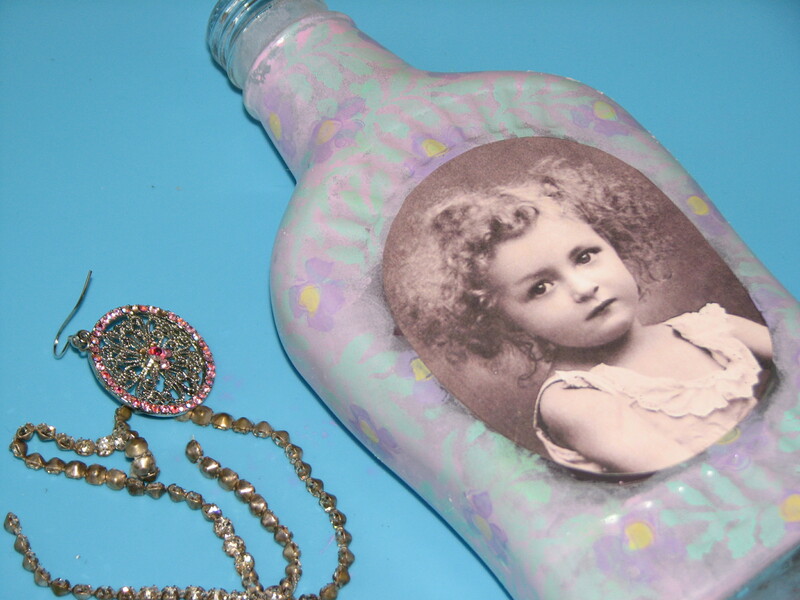 Add embellishments to finish off the bottle as desired.